A beautiful sunday morning to you, Jungle Painters. Last week we had our first tie during tutorial voting and decided to bring you two articles instead of only one via Massive Voodoo's year of the painter. 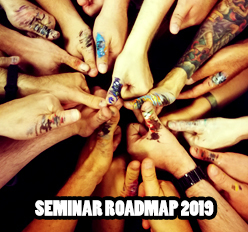 Now another tutorial voting has passed and we are a little late, due a private coaching with Roman and Nadia from Russia and the preparation of the Bananalicious Painting Contest 2. "The Aquila" won last week and will be up this Friday for you to read. We are now heading back to something we owe our jungle readers, the second tutorial from the tie vote. 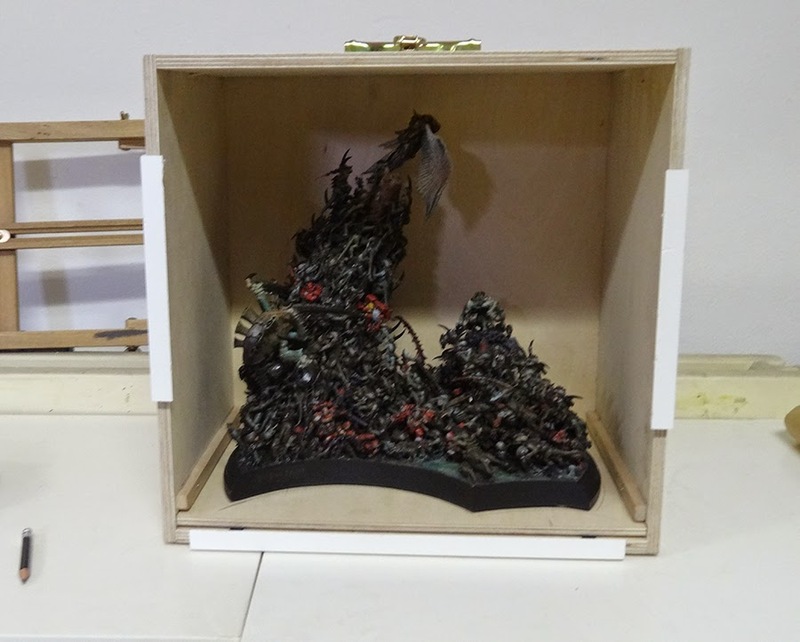 In this article Roman will explain on how he build up his transport box for his project called "the Last Light". You can also call it an advanced transport box as you already can find one article about building a simple transport box in MV's article section. The simple transport box was easy to build as we did buy the box in the local hardware tool shop. In this case this is different. 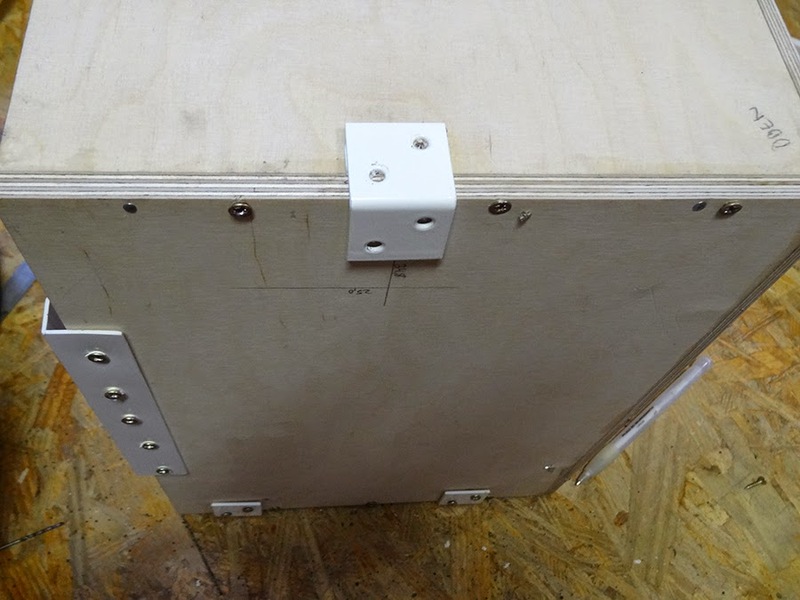 The box we are building now should perfectly fit to only one project. 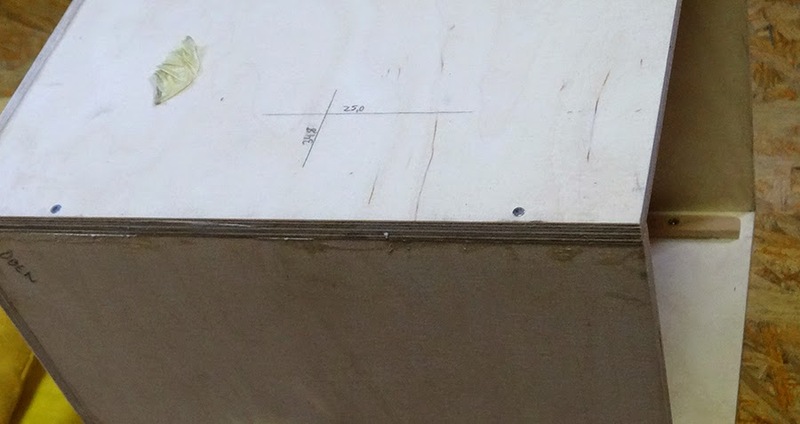 So it is important to know the height and width of your project. In my case, the project was 30x30 cm and I also decided to leave some space from the model to the inner walls. There is no real construction plan available for you outthere, as you really have to find out how big your own box shall be in the end, but we are sure that this guide gives you a good idea on how you can approach yours. 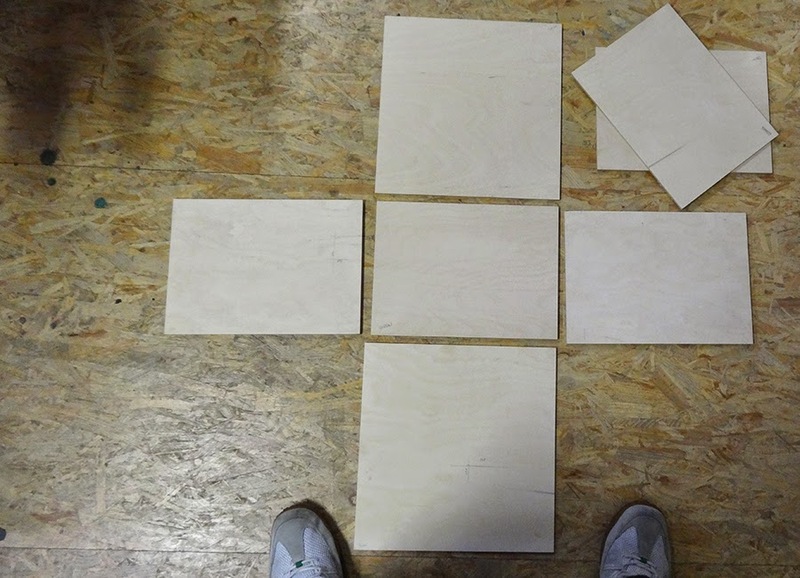 I did some calculation and drawing before I went to the hardware tool shop and get my wood cut in the right pieces by a professional with professional equipment. 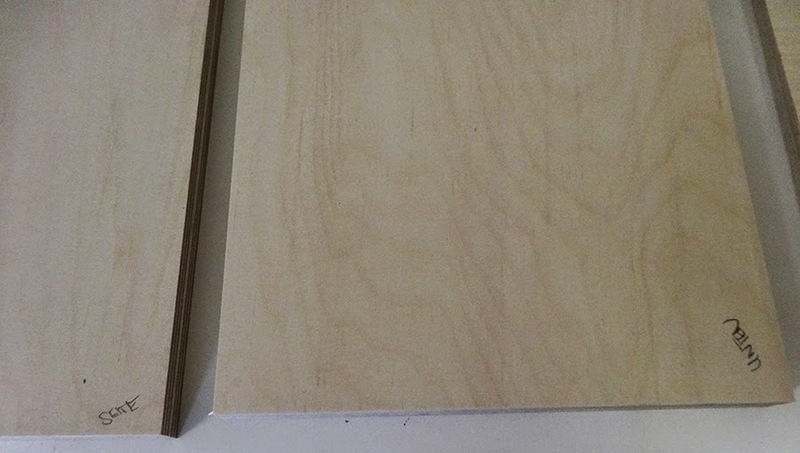 I decided to go for thicker wood to make it a real sturdy transport box. Important now is that you mark your different parts. Using a pencil and write their later on location to the parts. On all of them. You will not want to get any nasty surprises while you're building it up. Even the box is not glued together it is important that we think about the interior in this stage. 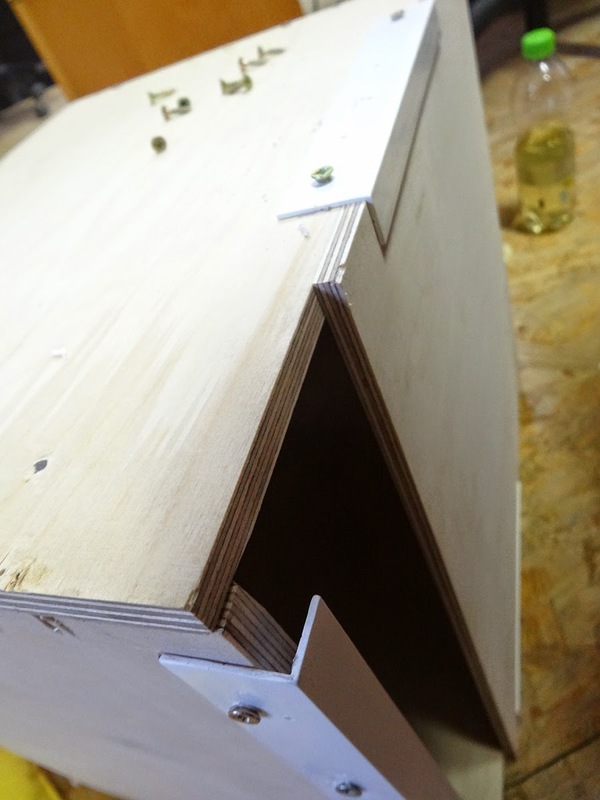 I wanted to go with the same construction of a drawer like on the simple box, but a little bit more professional. 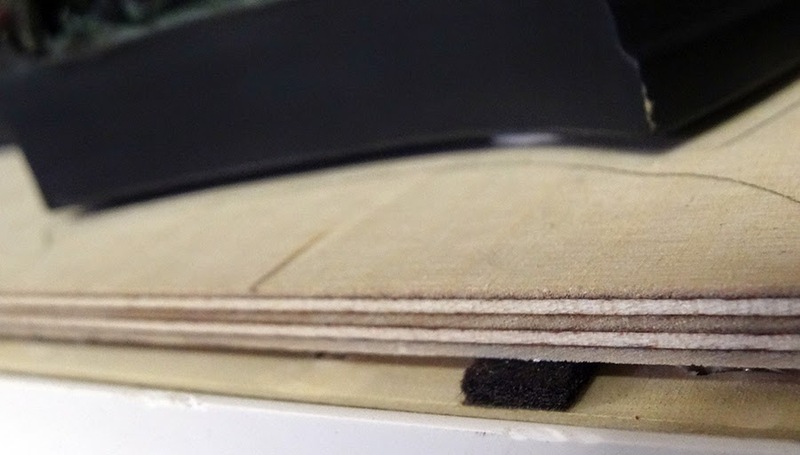 Therefore I bought some small four-edged wood ledgers and used sandpaper to make them more smooth on the edge that would later on be touched by the drawer wood part. Now calculating how much space the drawer plus some foam (later more about that) might need in the end and glueing them in place with PVC glue. Now to some screws, nails and the handle. We were talking about a sturdy box so it is important to even fix the ledgers with some screws. Unfortanetly the screws were a little too long and they appeared again on the outer side. Gna! 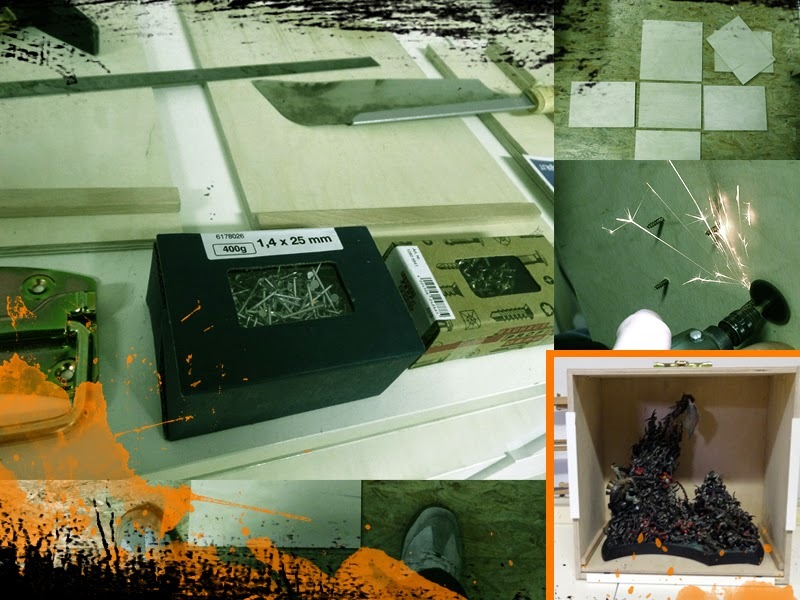 Having some sharp tips outside of this sturdy box might help to defend yourself better, but it is just a security issue that has to be taken care of. By asking super-mechanic Raffa he proposed using his hobby drill with a sanding part to sand them down. Important: Use security glasses! So far it was all the easy preparation part. Now we put to the test if the calculations and preps we did work when we glue teh box together with PVC glue. 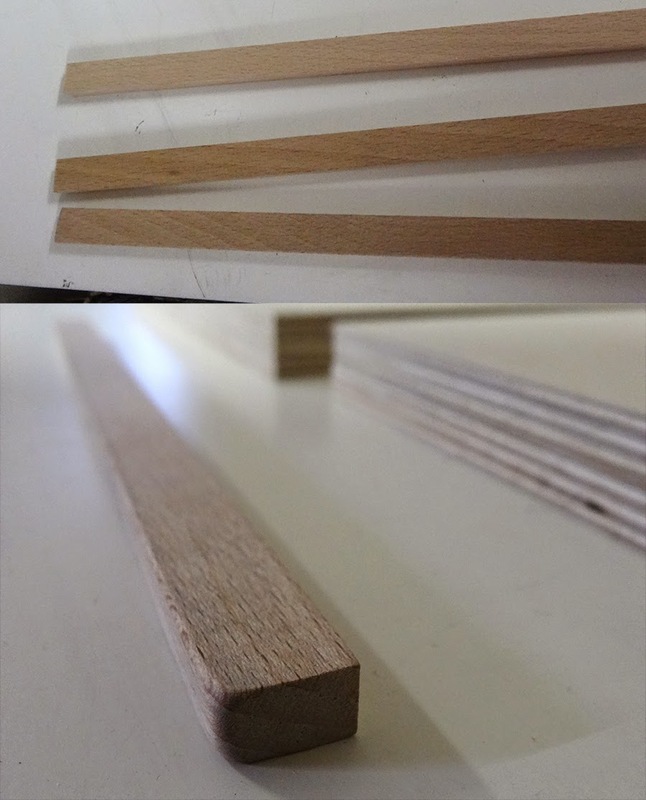 Using small pieces of wood to apply a proper amount of glue to the parts. Building up the box in this way with PVC glue for some time. For fixing the parts we used a hammer and some nails to push them home. In this stage we recommend asking a good friend who might help you to hold everything in place. 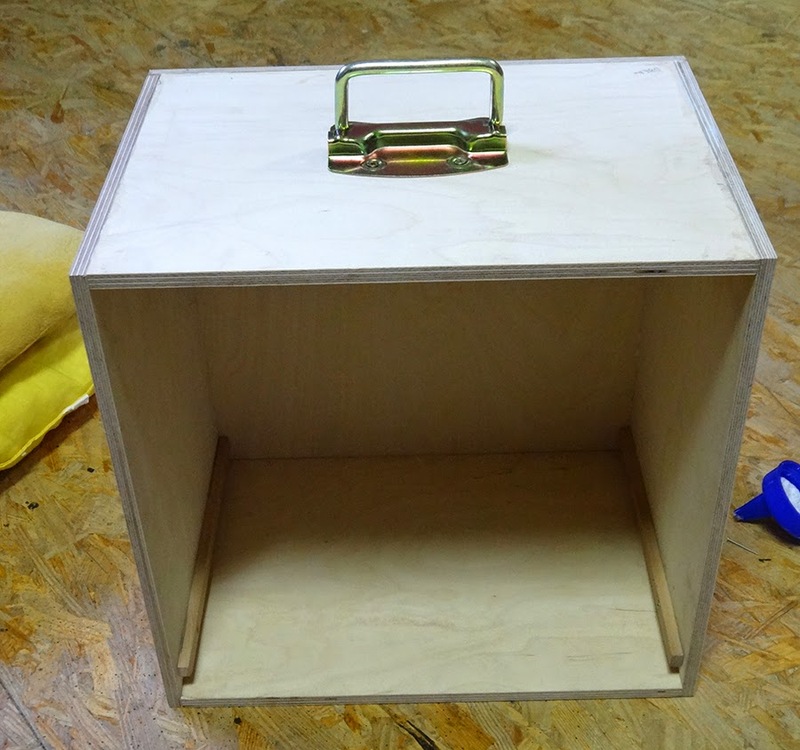 Next I took care of the handle and used some screws to bring in its center place on top of the box. 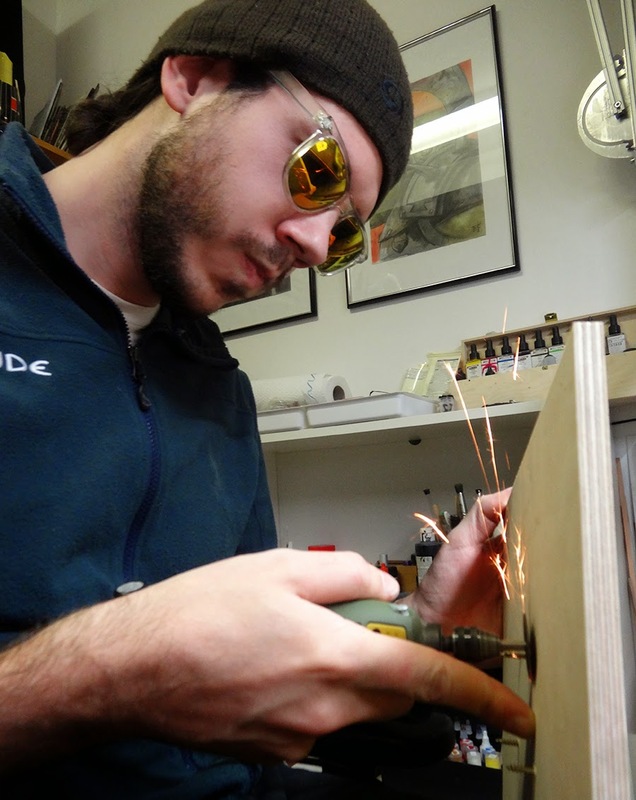 Now it was time for the construction of the box's closing part. Therefore some L-shaped plastic profiles out of the hardware shop were used. and drilled in place at the open front likeon the following photo. Take care of leaving enough space, but not too much space to have the lid slip in smoothly. Now all other corners were made rock-solid with more of those corner shaped pieces. 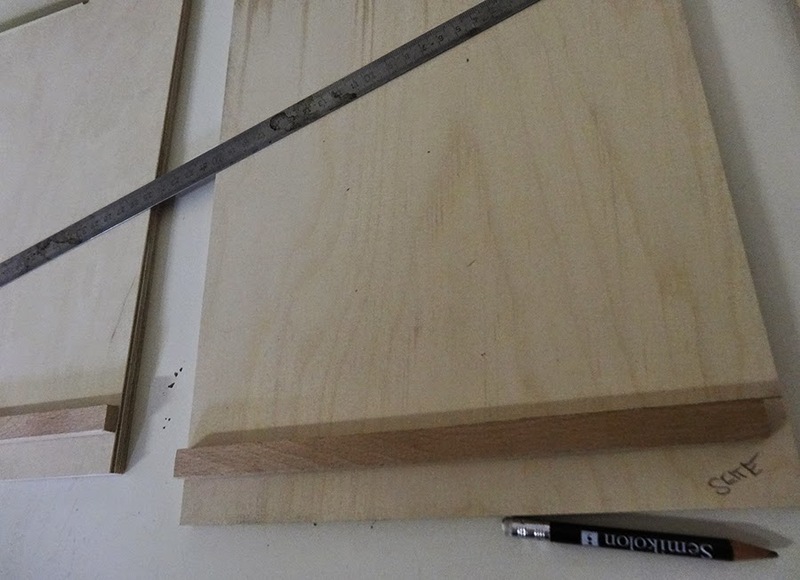 Drilling them in place to make the corner more solid and avoid damage to the wood. The box was almost ready. Checking back with the project itself. Now a small handle was placed to keep the lid closed. 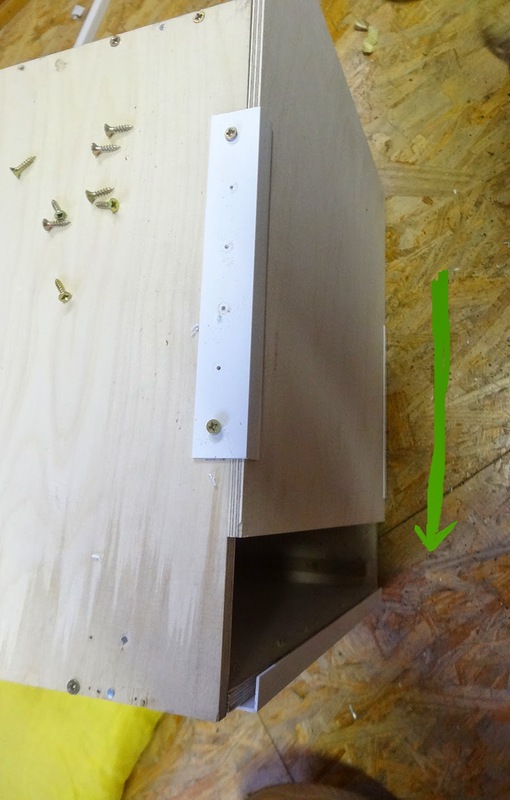 Some foam was glued under the drawer piece to have a smooth slip inside. Make sure again to have enough space left for it. This should not work with force, but with a gentle push. On the lid to close the box the mirror part of the small handle was brought into place and the box recieved a Massive Voodoo Sticker. Ready for transportation. I hope this article gives you a good idea on how you can build up your own advanced transport box. Very important is that you make up your mind up front and have a plan. Without a plan this will get a mess and you waste your money. All in all for this box around 60,00 € - 70,00 € for the material was used. It took me around three to four hours to build it up. Now "the Last Light" is safe for transport. Thank you for this tutorial ;)! You are welcome anonymous jungle wanderer! Excellent tutorial for the practical side of painting projects. 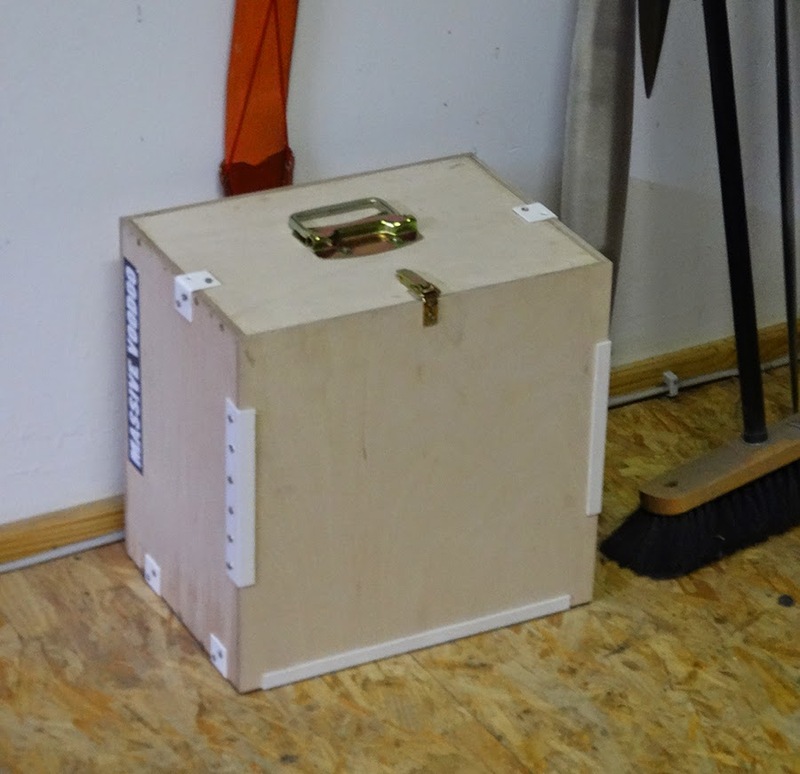 Much like a helmet for the painting ideas of the mind, this box protects the painting reality! A suggestion for the box. On the bottom section, drill, and mount a group of very strong magnets. Then as part of your model creation, create a metal plate that mimics the bottom of your base. Then you can place the insane gorgeous beyond description item in your box, and the magnets will hold it securely in place, and prevent it from sliding around. Step by Step: The Aquila - Hero of Rome 41 A.D.
Tutorial Voting: A box full of Funk!